As Captain of Trinidad’s legendary Desperadoes Steel Orchestra, Cecil played on their tours to New York’s Carnegie Hall, Apollo Theater, and Brooklyn Academy of Music; Miami’s Marine Stadium with Jimmy Buffett; and to the UK’s Hammersmith Odeon and Royal Albert Hall for the Queen. He taught Trinidad’s Movant Laventille Junior Secondary School’s Steelband and trained students for competitions. After migrating to the U.S., he toured with the “Warrior Ant” production to Yale School of Drama. While living in Los Angeles 20 years, he performed at Universal Studios, Disneyland, Wild Animal Park, universities, and on movie and TV soundtracks. 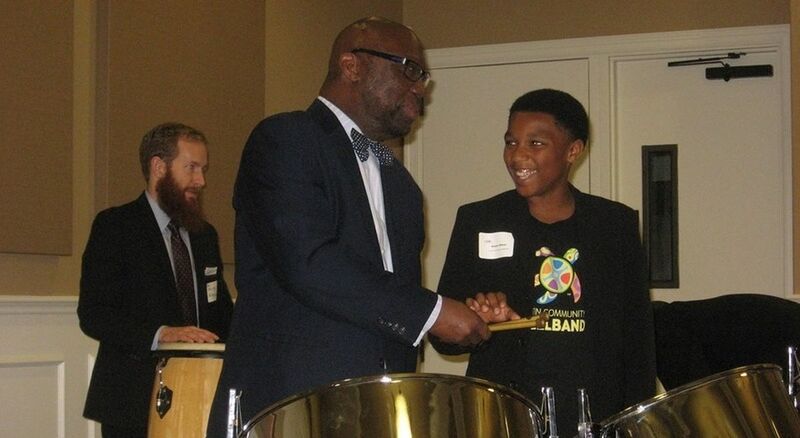 He became Austin Community Steelband’s Musical Director in 2008. As a world renowned Steelpan artist, arranger, and composer, Robert took The Desperadoes Steel Orchestra to 1st place Trinidad Carnival Panorama championships twice. He toured and recorded with Taj Mahal before joining Jimmy Buffett and the Coral Reefers in 1983, touring and recording with them to the present. He recorded with John Lennon, Ringo Starr, Earth Wind Fire, Helen Redding, Barry Manlow, Ralph Macdonald, and Grover Washington Jr.,(“Just the Two of Us”). He performed with such jazz greats as Tommy Flannigan and Paquito Rivera. His movie credits include Working Girl, Clara’s Heart, Hard to Kill, 48 Hours, Ghost Busters, Brothers, and Cool Runnings. Robert has recorded numerous CD’s of his own and three with his band, Club Trini (Michael Utley and the Coral Reefers). Ralph left his mark on nearly every genre in traditional and contemporary music, from Percussionist for Harry Belafonte to Roberta Flack. He won a Grammy for writing “Where is the Love” and played on Grammy winning recordings of: Carly Simon, James Taylor, Paul Simon, Billy Joel, Roberta Flack, George Benson, Bette Midler, Diana Ross, and Grover Washington Jr. He produced, co-wrote, and played on “Just the Two of Us”, and won a Grammy, playing on Bob Jame’s TV Taxi theme. For 10 years, 1979-1988, the National Academy of Recording Arts and Sciences awarded him the “Most Valuable Player of the Year” for percussion. 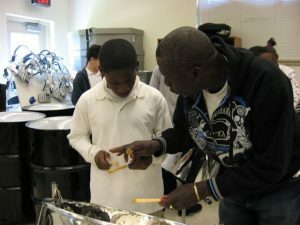 Tony Slater performs our steelpan instruments’ maintenance tuning and conducts steelpan construction and tuning workshops. He was Trinidad & Tobago’s Pan in Schools Quality Control Officer and a North Texas University workshop clinician. He is on the University of Trinidad & Tobago teaching staff, and tunes for Japan’s five major steelpan schools. WE THANK our 2007 Professional Team, who established our Steelpan School. Leon is arranger for Trinidad All Stars Steel Orchestra, winning numerous Trinidad Carnival Panorama championships. 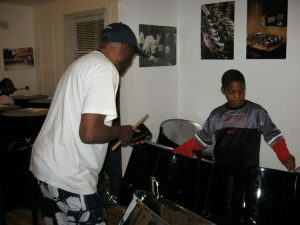 After moving to Washington, D.C. in 1988, he taught Metropolitan Steel Symphony and helped form Positive Vibrations youth steelband at the Cultural Academy for Excellence. While with them 15 years, he prepared them for their U.S. State Dept./U.S. Embassy sponsored Senegal tour, the St. Lucia Jazz Festival, and two 1st place Virginia Beach Caribbean Festival Panoramas. 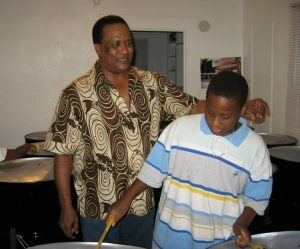 Upon leaving Austin Community Steelband, he returned to Trinidad to join University of Trinidad & Tobago’s Steelband staff. Natasha, a noted Steelpan soloist, arranged for Trinidad’s Chord Masters, Tobago’s Panfanatics, and played and arranged for the Jazz steelpan ensemble Panazz Player. She was Drill Master for Trinidad’s Potential Symphony and Tobago’s Dixeland. Her featured soloist concerts include the Trinidad’s Carnival Dimanche Gras show and Queens Hall Stars of Tomorrow, and in concert with Ralph Robertson on BET’s Jazz in the Sun. She is Trinidad’s Music Gym instructor, NGC Steel Explosion’s arranger, and MAW-B Entertainment’s leader, arranger and Musical Director. Yohan studied music theory at Trinidad’s Queen’s Royal College. He played with Trinidad All Stars and was their Drill Master and Stage side arranger. 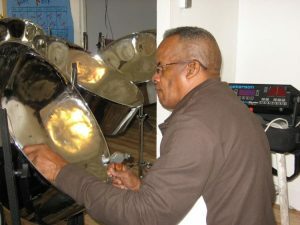 He taught steelband in both Trinidad’s public and private schools, arranged for many Trinidad steel orchestras, and was co-founder and arranger for the award-winning Jazz Panazz Players. His arrangements won 1st Place twice in Trinidad’s Carnival Panorama Medium Bands for Sforzata and twice in New York Panorama for Sonatas. As teacher at Picadilly Elementary and steelband instructor at Malick Senior Comprehensive, Carl taught many of Trinidad’s best steelpanists. With Harmonites Steel Orchestra he played cello, bass, double seconds, and tenor, and arranged for both them and Tokyo. Retired from teaching, he has become a much sought after arranger and music composer for Trinidad Calypsonians, including 2007 Junior Calypso Monarch, Tenisha Weekes, and Blackie’s “Pan en Meh Blood” 2014 Trinidad Panorama tune.